Tropical Smoothie Cafe expects to open its 600th location on June 23 in Joplin, MO. Located at 3025 South Main Street, the newest location marks a landmark achievement for the brand in the midst of its 20th anniversary year and emphasizes the company’s plans to open at least 100 new restaurants nationwide by the end of this year. The new Joplin location will be owned and operated by existing franchisee and president of RLG Cafe LLC, Robb Good. This is the second cafe Good has brought to the city, with the first having opened back in early 2016. The food and smoothie franchise currently has franchise opportunities across the U.S. in markets such as Indianapolis, Nashville, Houston, Dallas, Cincinnati and Minneapolis, among others. By 2020, Tropical Smoothie Cafe plans to have 1,000 stores open across the U.S. Tropical Smoothie Cafe’s aggressive franchise growth is backed by the entrepreneurs at the BIP Franchise Accelerator, a division of venture capital firm BIP Capital, which invested in the brand in 2010. BIP Capital has invested more than $250 million in emerging, high-growth brands across the franchising, software, and technology and consumer products industries. BIP Capital created the BIP Franchise Accelerator to leverage its leadership team’s deep franchise experience to help emerging brands accelerate their growth. In addition to Tropical Smoothie Cafe, the BIP Franchise Accelerator’s portfolio includes Tin Drum Asian Kitchen, which has grown to 11 locations in Georgia. Global food and beverage company Retail Food Group (RFG) has set its sights set on expanding its international footprint to American shores. Headquartered on the Gold Coast in Australia, RFG has a network of more than 2,500 outlets across 12 Brand Systems spanning 79 licensed international territories including Donut King, Brumby’s Bakery, Crust Gourmet Pizza Bar and Gloria Jean’s Coffees. RFG’s USA President Brian Balconi, based at the Company’s Los Angeles support office, expressed that as part of RFG’s aggressive expansion plans its key focus is on the American market. RFG’s presence in America is already represented by its gourmet specialty coffee brand Gloria Jean’s Coffees, which currently has 55 coffee houses in 21 states, and the It’s A Grind Coffee House group, which has 18 stores. RFG acquired the Gloria Jean’s Coffees brand in 2014 and is currently working on a new and exciting brand renovation for global expansion, of which the U.S. market plays a significant part. RFG Managing Director Andre Nell expressed the company has strategically and purposely built a network of businesses that have added significant value to RFG and helped it emerge as a leader in its field. The company is also a roaster and supplier of high-quality coffee and affiliated products, operating four coffee roasting facilities that supply global markets through a suite of coffee brands. RFG is also involved in the foodservice, dairy processing and wholesale bakery sectors. “We supply our quality coffee and blends to over 30 countries worldwide, including our Brand Systems, which further strengthens our vertically integrated business operations and growth in the coffee category as specialists from bean to cup,” Andre said. RFG’s international expansion model within the USA is based on recruiting Master Franchise Partners who purchase a license to develop a certain Brand System in a defined territory. This model provides the Company and local partners with the opportunity to forge sustainable partnerships to successfully develop its Brand Systems internationally. 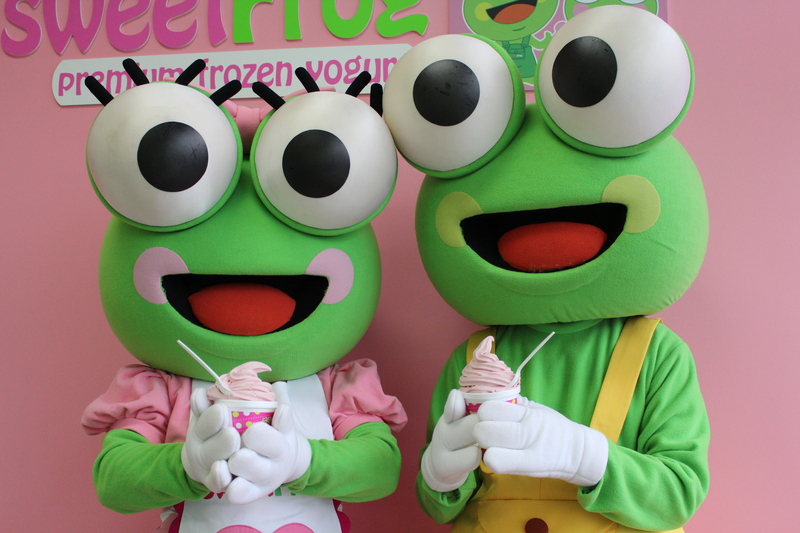 sweetFrog Frozen Yogurt announced a nationwide acquisition and re-branding push to add as many US-based locations as possible to the sweetFrog franchise family in 2017 and beyond. This full-scale effort will be directed by CEO Patrick Galleher , who also continues to lead Boxwood Capital Partners as its Managing Partner. “There has never been a better time to launch an acquisition and re-branding push on behalf of sweetFrog,” said Galleher. “In the past two years, we have hired phenomenal corporate employees, added passionate franchise owners, and of course, serving the best-tasting frozen yogurt, ice cream and gelato on the market – keeping fan-favorite flavors and introducing new, cutting-edge flavors our customers love. These efforts have earned sweetFrog countless industry awards and helped the company grow to 340 total stores in 28 states, including 10 international locations in Egypt and the Dominican Republic – reinforcing the company’s status as the nation’s leading frozen desert brand. Black Bear Diner signed lease agreements for new restaurants in Katy, Texas and Midwest City, Oklahoma. The new lease agreements in Oklahoma and Texas mark the first step towards eastward expansion. Black Bear Diner, recognized as the third fastest growing full-service restaurant chain in the 2017 Technomic Top 500 Report, recently secured an investment from PWP Growth Equity, a private equity fund affiliated with Perella Weinberg Partners that invests in leading, growth-oriented lower middle market companies. The partnership with PWP Growth Equity has positioned Black Bear Diner for sustained growth and continued expansion eastward. Black Bear Diner’s growth is being fueled by a mix of new and existing franchisees in existing markets, as well as corporate stores in newer markets. Black Bear Diner saw a 16.2 increase in units from 2015 to 2016. This year, Black Bear Diner is on track to open up 24 new units, including their 100th restaurant in the third quarter. Saladworks has added a new VP of Franchise Sales, a strategic franchise and corporate growth plan, and several new programs designed to improve franchisee support. To lead the growth charge, franchising veteran Paul Tripodes joined the Saladworks team in May as Vice President of Franchise Sales. With more than 15 years of franchising experience with brands like Boston’s Restaurant & Sports Bar, Bojangles and most recently Moe’s Southwest Grill, Tripodes will spearhead the brand’s aggressive plans for growth in 2017 and beyond. As Vice President of Franchise Sales, Tripodes will be responsible for recruiting multi-unit franchisees looking to diversify their portfolio with a new growth vehicle. His main areas of focus in year one will be New Jersey, Pennsylvania, Long Island, and Upstate New York. A key piece of Saladworks’ growth strategy is through development of corporate stores, which should open in the next six to 12 months in key markets in Atlanta, Georgia and Dallas/Fort Worth, Texas. Corporate stores will act as a catalyst to growth in the new markets mentioned above as well as in prominent locations in the brand’s core market. These new stores will boast a similar footprint and will test efficiencies in technology and operational flow. To support its network of nearly 70 existing franchisees and to attract the attention of multi-unit owners looking to diversify their portfolios, Saladworks has developed several new programs to offer additional revenue streams. In addition to new LTOs, a franchisee upgrade is a mandatory store remodel, rolled out in waves, designed to create cohesion throughout the system, improve brand awareness and increase system-wide sales. To lend additional support when locations close for a few weeks during the remodel, Saladworks’ corporate team is providing a food truck to park outside so that franchisees can continue servicing their loyal fans during the construction period. Saladworks is also launching a technology bundle across the system that includes a unified, cloud-based, POS system; managed internet hardware; online ordering; the brand’s Punchh loyalty program; Cloud Clover Music System; Profit Keeper, an online P&L statement tool; and a system-wide intranet and portal. The technology bundle exemplifies the company’s commitment to innovation and personalization of the ordering platforms. Wing Zone® signed a major expansion deal to increase its international presence. The agreement, signed with The Philippines-based Viva International Food & Restaurants, Inc. and facilitated through JNM Dining Concepts, Wing Zone’s South Asia Master Franchise, based in Singapore, will result in the building of up to 50 new Wing Zone units across The Philippines over the next 10 years. The signing continues strong international growth for the brand during the last year, and comes on the heels of a diversified development focus for the iconic American brand. When the U.S. economy began to buckle in 2008, Wing Zone Co-Founder and CEO Matt Friedman knew operational flexibility was essential to maintaining the brand’s competitive edge in the increasingly crowded wing segment. Noting stronger economic markets globally, Friedman launched Wing Zone’s aggressive international growth strategy. Today, the leading fast-casual restaurant franchise boasts more than 100 units open or in development across the U.S., and a strong international presence, including locations in Panama, Singapore, Malaysia and beyond, a footprint that will more than triple with this new signing in The Philippines. The partnership will be driven through Viva Food, under the Viva Group of Companies, following discussions with Johnny Mayani, Managing Director of JNM Dining Concepts, who identified Viva as a strong area developer for the brand. After investing heavily in the entertainment industry, Viva Group of Companies Chairman and CEO Vicente “Vic” del Rosario, Jr., has made a new investment push into restaurants in his pursuit to become the heaviest hitter in the food industry in The Philippines. Viva International Food & Restaurants also successfully operates Paper Moon Tokyo Cake Boutique and Café as well as Botejyu Authentic Japanese Restaurant chain, as franchisees. The company’s newest agreement with Wing Zone puts them on track to potentially open up to 50 units over the next 10 years, with the initial development comprising 10 restaurants, the first of which is scheduled to open in early Q3 2017 in SM MEGAMALL in Manila. The developments will be facilitated through Wing Zone’s South Asia headquarters and training center, JNM Dining Concepts, based in Singapore. As Wing Zone’s headquarters for the Asian region, the Singapore training center will provide supply chain management, vendor management, branding, and development strategy for the new Viva locations in The Philippines. Wing Zone franchisees across the region already benefit from the Singapore center’s real-time support through training, marketing, and approval assistance, and the brand support team is eager to expand its impact through the new locations in The Philippines. Wing Zone continues to push aggressive expansion plans in the U.S. as well, including recent openings and signings in Illinois and California. Abroad, the brand has also seen three recent store openings in Panama, one in Guatemala and one in Malabo, the brand’s first location in Africa. Now, in 2017, the brand will continue building out its international footprint even further, with additional openings in the pipeline across Guatemala and Panama. Perkins Restaurant & Bakery’s largest franchisee, K Investments Limited of the JDK Management Group has purchased five of its corporate restaurants in Pennsylvania, and signed a five-unit development agreement. With the transfer of the five corporate locations complete, the JDK Management Group now franchises a total of 26 Perkins Restaurants & Bakeries in the state of Pennsylvania, with an additional eight Perkins in Ohioand three in Florida. As part of the new development agreement, JDK Management plans to build a total of five more Perkins restaurants inPennsylvania and New York. JDK Management has served on Perkins Advisory Council for the past 25 years and in 2016 was recognized as Perkins Franchisee of the Year. JDK has implemented the Perkins remodeling initiative with 26 remodels completed to date. Sally J. Smith has notified the Buffalo Wild Wings Board of Directors of her decision to retire before the end of the year. Smith will continue to serve as President and Chief Executive Officer until the end of the year or until such time as a successor has been named. The Buffalo Wild Wings Board has initiated a search process and will engage a leading executive search firm to assist in identifying a successor. In addition, Smith has also withdrawn her candidacy for election to the Board in connection with the 2017 Annual Meeting of Shareholders and the Board will not be nominating a replacement. There are currently more than 1,220 Buffalo Wild Wings locations around the world. 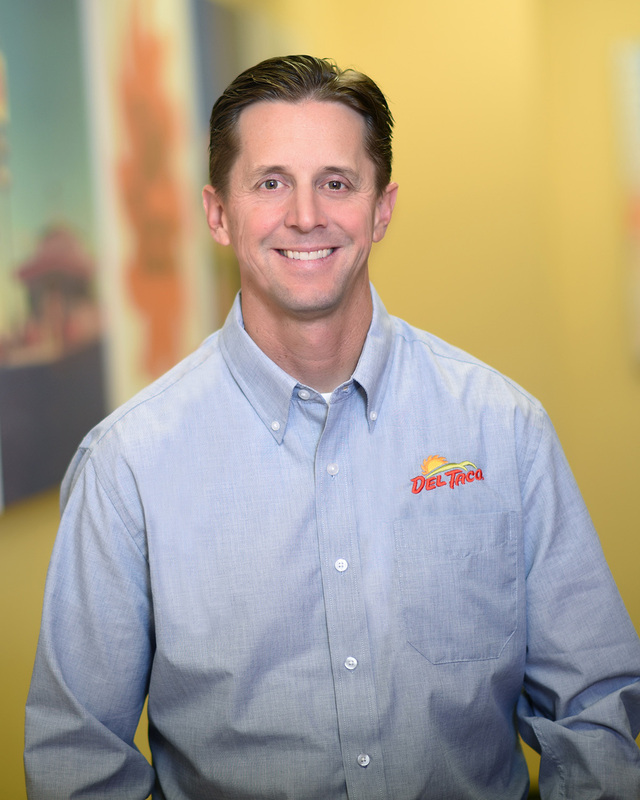 Del Taco Restaurants, Inc. announced that President and Chief Brand Officer John D. Cappasola, Jr. has been named as Chief Executive Officer, to succeed Paul J.B. Murphy, III. Mr. Cappasola will also replace Murphy on the Company’s Board of Directors. Murphy will remain with the company into July to ensure a seamless and orderly transition of leadership and responsibilities. Cappasola joined Del Taco in a senior leadership role in 2008. He has been Del Taco’s President since January 2017 and Chief Brand Officer since February 2011. He previously served as Executive Vice President and Chief Brand Officer, leading Del Taco’s efforts in brand strategy, operations, marketing, menu development, and culinary innovation. Paul J.B. Murphy, III has been Del Taco’s Chief Executive Officer since February 2009 and served as President from February 2009 through December 2016. Rascal House, a fast-food pizza restaurant concept based in Cleveland, launched its franchise program, offering the exclusive concept to qualified owner-operators across the Ohio Valley. 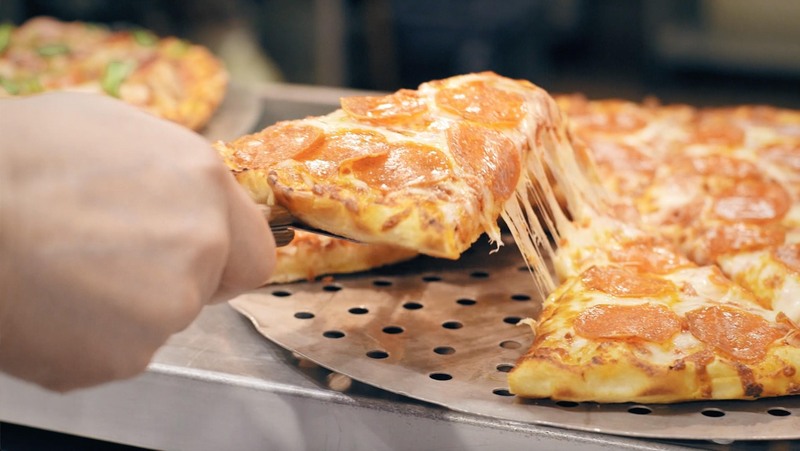 Founded in 1980 by husband and wife duo Mike and Fouly Frangos, Rascal House capitalizes on a growing need for convenient and quality fast food with a vast menu of pizza, pasta, sandwiches and more. By broadening its business concept with casual catering options and a proprietary delivery service, Rascal House has established an additional four locations across Cleveland to reach an even larger base of customers. With the new franchise program, Rascal House looks to add 25 new locations across Ohio, Pennsylvania, Indiana, Michigan and West Virginia over the next two years. “Our main goal is to ensure the success of our franchisees, and that’s why we’re taking a conservative approach to expansion and just targeting regional markets at this point, ” said Frangos. Marshland Foods, LLC is expanding its current development deal with Dickey’s Barbecue Pit into Texas with seven new locations in the greater Houston area. The group already has a presence in Louisiana, with a store in Lake Charles and four others in the works, but the new Houston locations will be the group’s first in Texas. The expansion will include locations in Pearland, Beaumont, Sugar Land, Katy, Cinco Ranch,Cypress, and Woodlands, starting with the Pearland location projected to open by the end of the year. Marshland Foods, LLC, an affiliate of the Marshland Group, LLC, originally planned to open eight Dickey’s locations in five years. With growing confidence in the fast casual concept and the success of their first opening in Lake Charles in November, the group is now increasing its development deal to twelve locations and expects to expand even further. More authentic, slow-smoked barbecue is in the near future for Massachusetts with a newly inked development agreement between Dickey’s Barbecue Pit and local franchisee,Larry Jones. This is the first Dickey’s development agreement in Massachusetts. Jones’ new Dickey’s locations are under development inAndover and Burlington, scheduled to open in late fall 2017. Capriotti’s Sandwich Shop signed three franchise agreements to bring a total of 12 locations to the Salt Lake City area over the next three years. The first new location is expected to open in October in Daybreak. There is currently one restaurant in the Salt Lake City area in West Valley City and a second Capriotti’s in St. George. Capriotti’s has more than 100 fast-casual restaurant locations across the country. The company is currently working with developers across the country, including Nashville, Reno, Boise, and Norfolk, VA. Capriotti’s will open 15 new shops in 2017 and will grow the brand to 500 locations by 2025 through franchising. Capriotti’s has franchise opportunities for single and multi-unit developers. Glenn Lunde has assumed the role of President at Togo’s Holdings, LLC, reporting directly to the Board of Directors, following the retirement of Togo’s Chairman and Chief Executive Officer, Tony Gioia. Lunde joined Togo’s as Chief Concept Officer in January as part of the succession planning process, and has been leading Togo’s brand transformation strategies, including the chain’s operating system and menu strategy. Under Lunde’s leadership, Togo’s is set to re-establish its 45-year leadership as the West Coast sandwich innovator with even higher quality ingredients, even larger portions, and even better customer service. Togo’s is introducing comprehensive menu improvements this month. “Togo’s has a passionate customer base that goes back over 45 years and they are the reason we have invested in the dramatic ingredient and portion improvements to create our best sandwich experience ever,” said Lunde. Togo’s also announced the addition of Nader Garschi to its executive leadership team as Chief Operating Officer. Garschi will oversee Company and Franchise locations, as well as Restaurant Services & Training, Operations Innovation, and New Restaurant Openings. Garschi has more than thirty years of restaurant management experience for outstanding brands, including Lyon’s Restaurants, Taco Bell, and Panda Restaurant Group. Also joining Togo’s executive leadership team, as Senior Vice President of Marketing, is Anna Nero. Nero, who previously served as Executive Director of Marketing at Panda Restaurant Group, brings extensive brand marketing experience from her tenure during Panda’s growth from 38 restaurants to over 1,300. She will be responsible for Brand Creative, Marketing Promotions, Culinary Innovation, and all Media Communications. Togo’s is also supporting all branches of the armed services by waiving the initial franchise fees for two qualified veterans starting through Labor Day. Today, nearly one in seven franchise businesses is veteran-owned. In the last five years, 5,100 veterans have become business owners, and to date, there are more than 66,000 veteran-owned franchises. Combined, these businesses directly provide jobs for 815,000 Americans, and generate more than $41 Billion in GDP. And in the years to come, these numbers are only expected to grow. That’s because, for many veterans, franchising is a career path that allows them to utilize the skills and traits they picked up while in the military—things like integrity, management and thinking under pressure. And because brands like Togo’s offer incentives, it makes the transition a little easier once they return home and make their next move back into civilian life. SPoT Coffee’s franchise café outside the State of New York will be in the Blue Back Square development in West Hartford, CT. Parisco Cafés, LLC, the franchisee, secured a 3,800 sq. ft. corner location. Architectural design of SPoT West Hartford café have begun and will begin construction as soon as a building permit is issued. As previously announced on February 22 of this year, Parisco Cafés, LLC has entered into an agreement with the company to build a total of five SPoT cafés within the West Hartford, CT, and Saratoga Springs, N.Y., corridor in 2017 and 2018. SPoT Coffee and Parisco Cafés, LLC share the same strategy of developing a cluster of five franchise cafés within the West Hartford and Saratoga Springs corridor, which includes Pittsfield and Springfield, Massachusetts and Schenectady, New York. Together with the existing two corporate-owned cafés in Saratoga Springs and Glen Falls, N.Y., this cluster will be comprised of seven (7) total operating cafés by the end of 2018. These cafés will not only strengthen the SPoT Coffee brand within this demographically suitable corridor, but will be serviced as well by a new central kitchen facility capable of supplying up to fifteen (15) franchise cafés within the same geographic corridor. 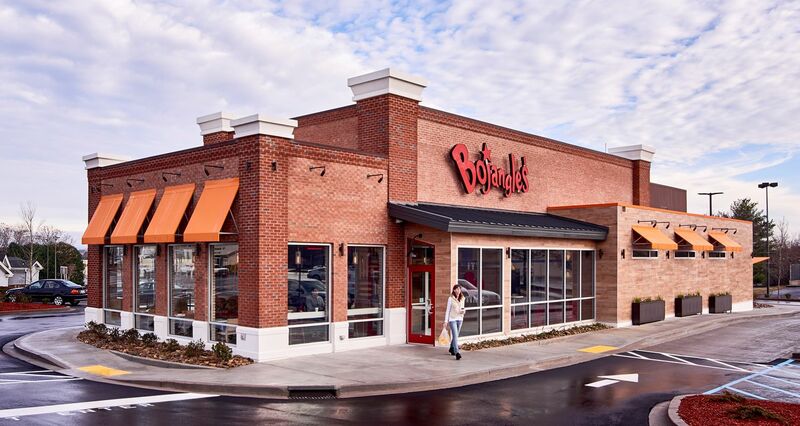 Bojangles opened its second new restaurant concept location on June 1 in Charlotte. Located at 1401 W. Trade Street, the new 3,900-square-foot restaurant boasts a variety of features designed to celebrate the company’s 40 years of famous chicken and biscuits, enhance the customer experience and demonstrate how the 700 plus unit chain is preparing for the future. In the new concept, a distinctive, contemporary exterior combines sophisticated materials like brick, tile and steel canopies. 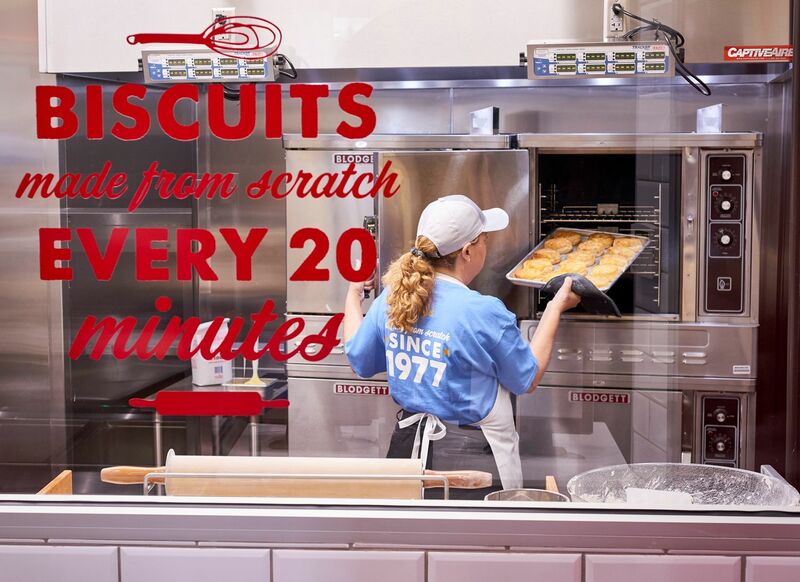 When guests enter, they will be greeted by bold graphics that celebrate the brand’s heritage, such as “Famous Chicken ‘n Biscuits” and “Made from Scratch Since 1977.” Guests will be captivated by a “Biscuit Theater” where they can witness biscuits being made fresh every 20 minutes by a Bojangles’ Master Biscuit Maker. Colored crocks replace steel warming trays to give the food display area a more inviting appearance, with increased use of glass adding to the visual appeal. In addition to putting Bojangles’ fantastic food in the spotlight, the dining room has been enhanced with free Wi-Fi, multi-device charging stations, unique high-top community tables, classic Adirondack chairs and a variety of other seating options to accommodate different-sized groups. New uniforms for all Bojangles’ team members complete the updated look. DineEquity, Inc. announced the opening of the first IHOP restaurant in India, DineEquity’s nineteenth country. The breakfast chain opened in CyberHub, Gurgaon, today by franchisee Kwal’s Catering Private Ltd., a multi-unit franchise organization with plans to open an additional 19 locations in multiple states of Northern and Southern Indiaover the next decade. The menu for this and other India IHOP restaurants will include the beloved American favorites the brand is known for, with numerous modifications to appeal to local palates and dietary preferences; 50 percent of the menu will be vegetarian, the pancakes will be eggless, and additional lunch and dinner options will be available – including lamb. The kid’s menu has an extra special “create a face pancake” option, encouraging kids to express their creativity through food. The design of the India restaurants will also be unique to reflect the brand’s ‘spreading happiness since 1958’ positioning. Guests will notice key elements of the California Heritage design, including the pancake station, an open kitchen and fresh juice bar along with design elements reflecting IHOP’s heritage. The anticipated addition of 20 IHOP restaurants in India is expected to generate at least one thousand jobs, and benefit the local economy from the initial construction and ongoing purchase of goods and services. Marco’s Pizza is targeting the greater Des Moines area for growth. The company has announced plans to introduce 15 locations through strategic franchise partnerships. The first Marco’s Pizza location in the market recently opened under the ownership of local residents Dan and Sherri Holmes. A lifelong resident of Des Moines, Dan was eager to introduce Marco’s Pizza’s quality product to his hometown after learning about the franchise on its 2016 Undercover Bossepisode. While only having been open for a few weeks, business has boomed, and the Holmes are hoping to open an additional two locations within the next two years. Marco’s Pizza more than doubled in size in less than five years. With plans to open more than 100 new stores in 2017 (averaging one every three days), the company is on track to exceed 900 locations by year’s end. Boston Market’s first Middle East restaurant opened this week in Kuwait. As previously announced in June 2016, Boston Market IP Company, Ltd., an affiliate of Boston Market Corporation, signed an area development agreement with Al-Ghunaim Trading Co. Ltd. that will open dozens of Boston Market restaurants in the Middle East. Al-Ghunaim Trading Co. Ltd. owns and operates a variety of brands including Chili’s®, Johnny Carino’s Italian Grill®, The Pizzeria, The Coffee Bean and Tea Leaf®, Cinnamonster®, and Which Wich®. The Melting Pot® Restaurants, Inc., signed a franchise agreement with husband-and-wife duo, Arturo G. Alluin and Ruth Ojeda, along with their son,Arturo R. Alluin. The trio formed Apex Franchise Management, LLC and will develop the company’s first restaurant in El Paso, Texas. The restaurant is slated to open in 2018. Alluin Jr., a graduate from Austin College in Sherman, Texas, will lead the day-to-day business operations, alongside his father, who has significant experience in the franchising industry. Prior to partnering with The Melting Pot, Alluin Sr., who is a native of Puebla, Mexico, owned and managed several restaurant concepts across Mexico, including La Baguette French Bakery, TCBY Frozen Yogurt and San Kai Sushi. The Alluin family now resides in El Paso and will utilize their management experience to operate the first Melting Pot in West Texas. The Melting Pot operates more than 120 restaurants across 35 U.S. states, Canada, Mexico, Saudi Arabia, and the United Arab Emirates. Bruster’s Real Ice Cream soon will be scooped in five more locations in metro Phoenix after the premium frozen treat chain inked a new franchise deal accelerating its rapid expansion in the West. Tarkoff currently is scouting locations in the Phoenix area for inline, endcap or freestanding shops. The Pittsburgh-based ice cream brand opened its first Arizona shop in Gilbert earlier this year. The chain is targeting the West and Southwest for expansion. In April, Bruster’s announced it signed franchise development agreements for seven new markets. It also reported an 8.8 percent same-store sales increase for the first quarter of 2017. Johnny Rockets recently opened its doors to its new restaurant in Jakarta, Indonesia, located in the Soekarno–Hatta International Airport’s Terminal 3. The new location features the Johnny Rockets Diner 2.0 design, which includes new décor and high-efficiency kitchen equipment. This is the sixth Johnny Rockets in Indonesia.